New wireless fire detection devices. 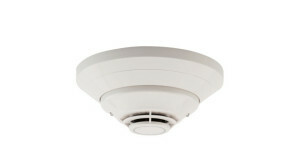 Fox Valley Fire & Safety proudly presents with Notifier by Honeywell, SWIFT wireless fire detection. 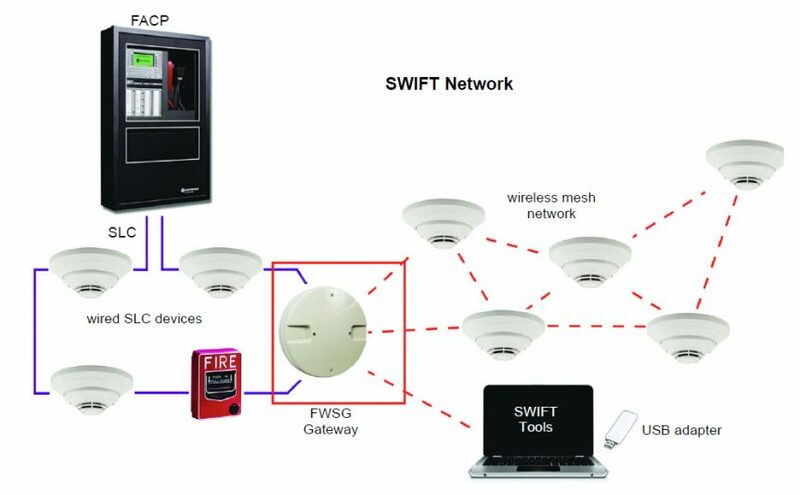 SWIFT stands for Smart Wireless Integrated Fire Technology. 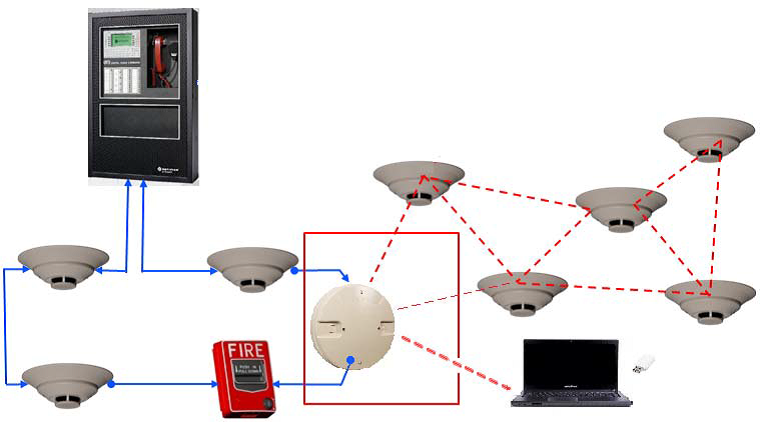 It is a Class A commercial wireless systems that uses robust mesh network that integrates with existing ONYX intelligent fire systems. SWIFT provides reliable wireless devices for a fire detection solution where traditional wired devices might be inadequate. Watch this short video on SWIFT technology. SWIFT devices detect fire just like their wired counterparts, while providing installation flexibility in a wireless format. SWIFT devices provide an opportunity for applications where it is costly (concrete walls/ceilings, buried wires), obtrusive (surface mount conduit) or possibly dangerous (asbestos) to use traditional wired devices. There are a number of advantages to using SWIFT technology over traditional wired detection devices. Flexibility—SWIFT technology is far more cost effective than using traditional wired smoke detectors. Running wire and using conduits throughout a system can become very expensive, especially for large or complex applications. The benefits of a wireless system like SWIFT include more than simply cost savings. By eliminating wiring, you can achieve faster installation, improved aesthetics, and leave a minimal impact on the structure in which the system is used. Additionally, both traditional and wired devices and new SWIFT devices can be used on the same Fire Alarm Control Panel, providing an integrated solution. Integration—Devices with SWIFT technology are closely integrated with ONYX panels. A wireless SWIFT gateway is connected to the FlashScan SLC loop of a current ONYX system, with the ability to support a network of up to 49 wireless devices. The system can be modified to hold additional wireless devices, including up to 4 gateways in the same radio space. SWIFT devices are annunciated, individually programmed, and controlled by the ONYX system. There are detectors that support all features of ONYX intelligent sensing, such as adjustable alarm and pre-alarm settings, cooperative detection options, and maintenance alerts. All wired and wireless devices are completely annunciated and controlled at the primary system display. SWIFT technology is also ideal for retrofitting existing systems in older buildings like historic sites, churches, schools, and conversion structures like warehouses repurposed as residential lofts. These fire systems can be an efficient, non-destructive way of bringing these older structures up to code. Reliability—SWIFT technology was designed to directly address reliability. 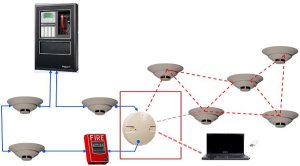 The proprietary SWIFT protocol uses supervised and redundant communication paths to ensure that all event data reaches the fire alarm control panel. Technicians also ensure the signal strength for each communication link. Another critical factor of ensuring reliability is proper installation. The SWIFT system pre-qualifies every site to determine the correct signal strength. In addition, there are SWIFT TOOLS, a collection of wireless tools that can be operated from a Windows PC to maximize system performance. At Fox Valley Fire & Safety, we carry a complete product line of Notifier brand Fire Alarm Systems and components by Honeywell as well as the new SWIFT technology. We are fully trained in designing and installing the SWIFT solution that can fit the needs of your facility building. Visit us today to learn how you can achieve safety and reliability at lower costs. Visit Fox Valley Fire & Safety to learn about safe and efficient SWIFT installation in your workplace.